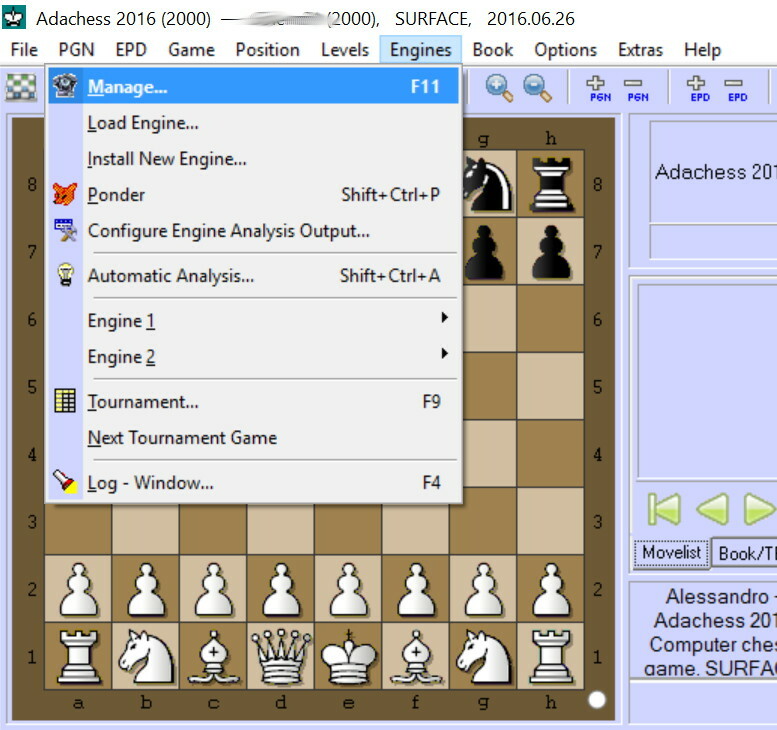 Going to the heart of the matter, if you want to play against AdaChess I suggest you to use a GUI for chess. There are two common GUI: Arena and Winboard/Xboard. In this post I will guide you step by step to configure Arena, while in another post I will do the same for Winboard/Xboard. Please note that the procedure is shared for almost any engine. Ok, let’s start by dowloading AdaChess from the download page of this site. 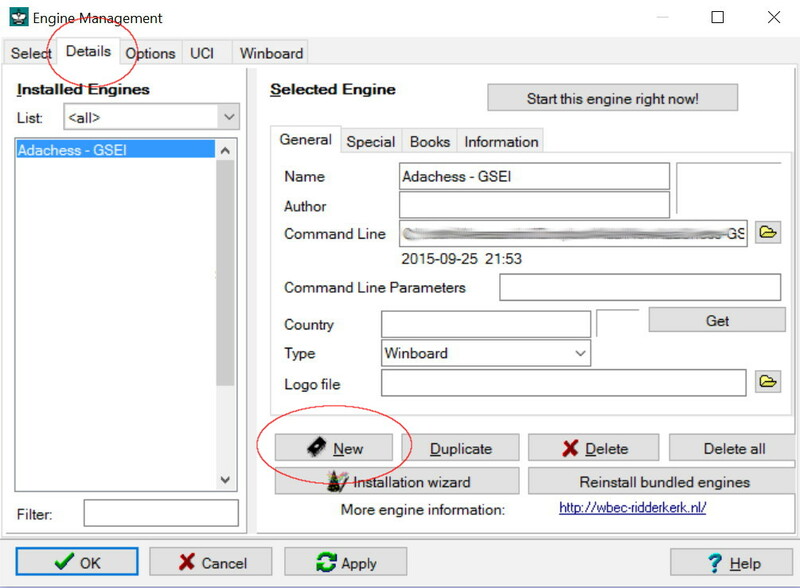 Once the zip file has been downloaded, unzip it and save the engine (and the book) in a directory you like. If you like, download also the official logo (not required, but you can add it in Arena if you like). Then download Arena from its official home page. After that, install and launch it. The switch to the details tab and click on the New button. This will open a file-search dialog. Look up the AdaChess engine executable (adachess.exe) in the place you saved in the previous step and load it. Arena will ask you to choose the communication protocol. 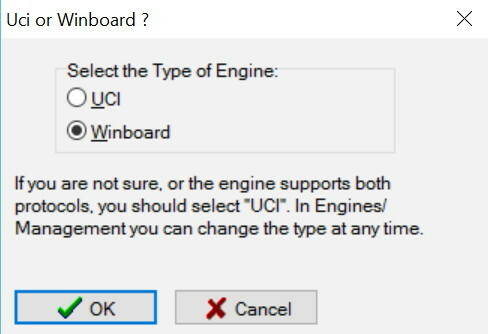 Choose Winboard (UCI protocol will be developed in future). You can see the dialog in the image below. Logo: path to logo file. Then click Apply and Ok to save the configuration. That’s all! For any other use of Arena, please refer to the Arena home page and relative instructions. I am an italian computer software engineer who lives in Oldenburg. I am passionate about Ada and the game of chess, and as a consequence I am the creator of the only chess engine written in Ada. I am also a cuban salsa dancer and trainer. 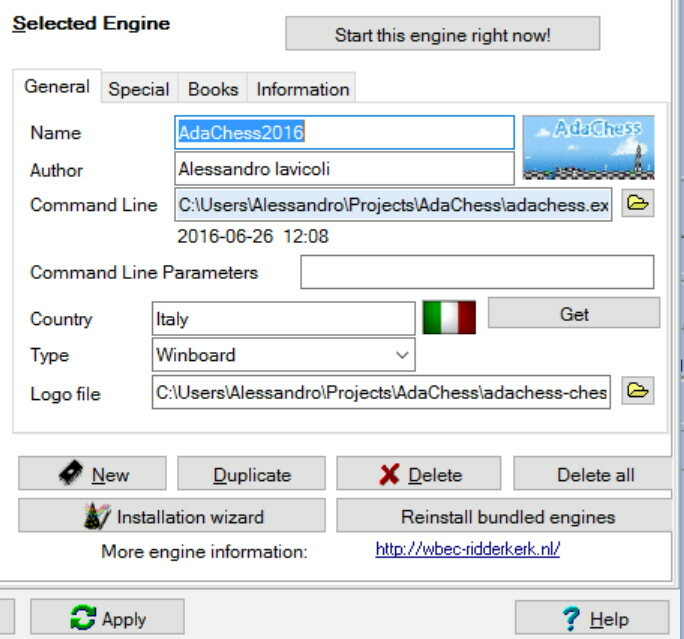 Alessandro, the last update of your website was 2016, but I cannot see a new AdaChess engine download-link because v2.1 was published over a year ago; a double-mouse click (AdaChess 2.1-executable file) shows v2.0. Perhaps is the information about AdaChess http://www.g-sei.org/?s=adachess (v2.0 is mentioned there!) 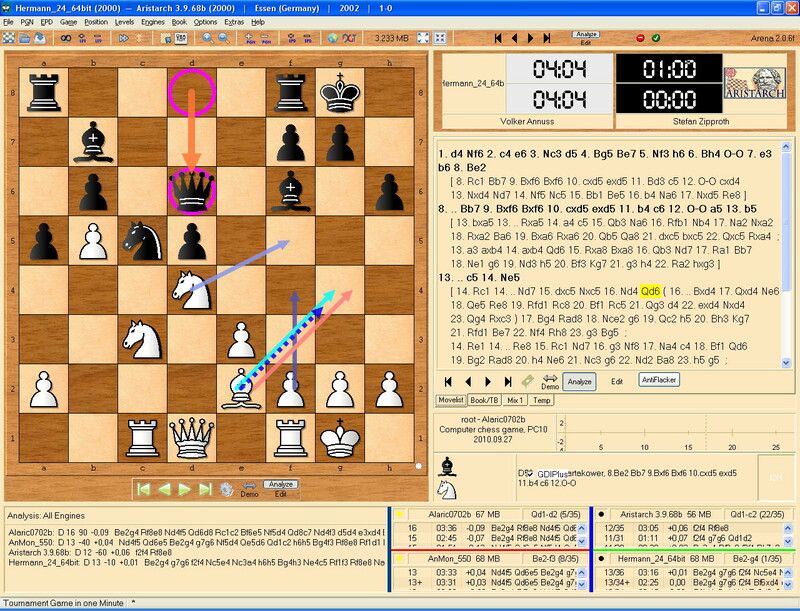 obsolete…..
ChessGUI http://www.chess.hylogic.de/ supports WB / UCI protocol 1 and 2 and can be used for matches engine vs. engine too. Did you matches AdaChess with BigLion?